Over the last few months, with the help of friends, I’ve been highlighting the various roles one can play in real estate (it’s endless). Up to this point I’ve neglected the most sought-after role – the entrepreneur. Most people I know are not in the real estate business to be employees; they want to start their own firms and run their own deals. 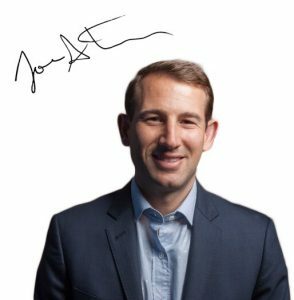 I asked Jonathan Wasserstrum, recent B-School grad and co-founder of TheSquareFoot, about his decision to start a business while in school, forego a high-paying job in real estate finance, and pursue his start-up venture full-time. I have always found it funny when asked what I do, if I respond Real Estate that that is a sufficient answer to the inquisitor. “Real Estate” is everything from the college kid who moonlights trying to lease apartments on Craigslist to appraisers (they are the ones who tell you how much a building “should” be worth) to the real estate investment banker who structures REIT’s and everything in between. I started off in the industry working in the International Capital Group at Jones Lang LaSalle. It was an awesome experience and I learned a tremendous amount. My current focus is real estate technology. Namely, I am one of the founders of TheSquareFoot which is an online platform that makes commercial real estate leasing easier for prospective tenants and landlords. I started working on TheSquareFoot with a couple of buddies from home while I was getting my MBA from Columbia. Starting the company while I was getting my MBA was great for several reasons. For starters, business school affords you a lot of time to experiment. Many people take school year internships in industries that they have no background in to get some experience and test the water. As for me, I used that time to start TheSquareFoot. Secondly, I was able to leverage both the real estate and entrepreneurship programs at school each of which provided invaluable resources and feedback for what I was working on. Plenty of figures from New York City real estate would come by for guest lectures and I took that opportunity to present my idea to them and get feedback. One of the more entertaining and engaging of these guests was Lloyd Goldman who spoke about everything from leasing to networking. Also, being a student is the perfect time to reach out to people outside of the class, both alumni and others. Everyone wants to help a student out…this is America after all! The only minor annoyance was hearing all of my friends getting their cushy job offers. Doing a startup is a long hard road without immediate payout though there is plenty of gratification. It’s one big “grass is always greener” thing going on. I have friends who say they are jealous that I get to pursue my dream right now. It does have its moments for sure, but there are ups and downs as with everything else in life. I have no regrets taking the startup real estate route out of business school and I’d go so far as to say that my MBA helped in many ways both tangible and intangible. And as for TheSquareFoot, we are doing great. We have happy landlords and happy tenants; which leads to happy founders – depending on the day you ask. We launched our full product last summer in Houston and hopefully we will be coming to a market near you soon. In the meantime feel free to reach out to me anytime if you want to chat about real estate, startups…or maybe even real estate startups. I think one of the biggest myths about entrepreneurship is that it’s the road to riches. The fact is that most entrepreneurs don’t make as much money as they could as an employee for someone else. However, successful entrepreneurs have a sense of urgency, passion, and commitment to their vision that most people don’t have which leads to great success. I wish Jonathan and TheSquareFoot team all the best.